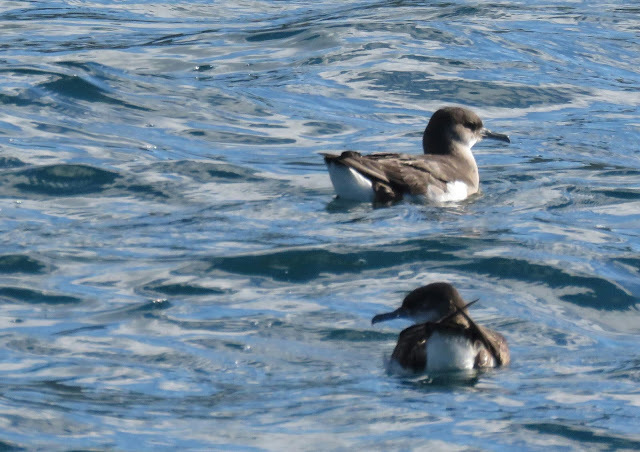 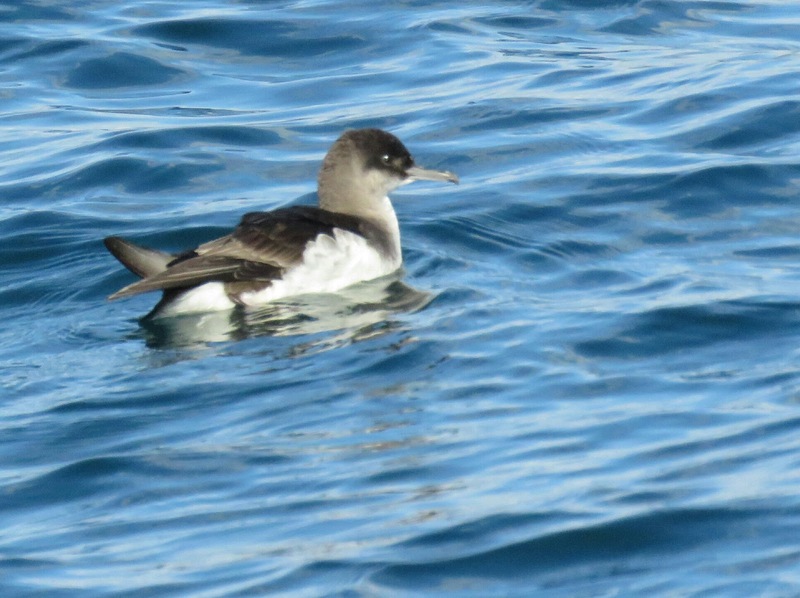 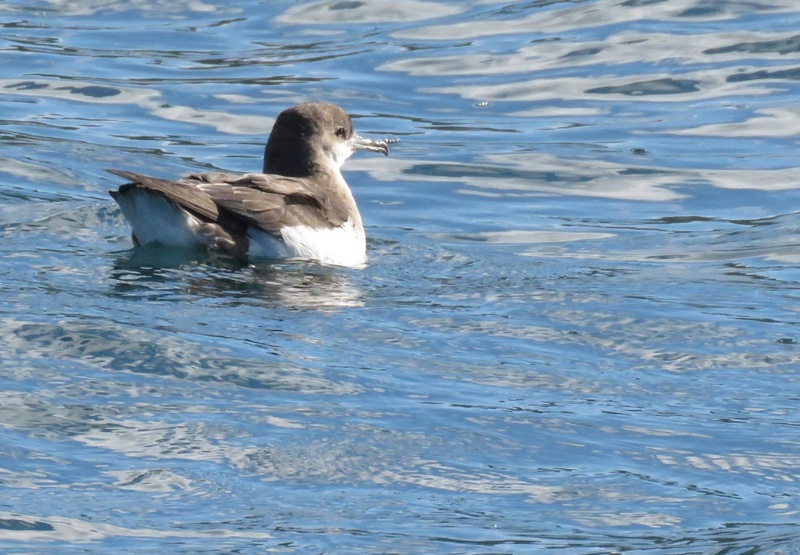 We can ID this bird as a Fluttering Shearwater by its dark cap that extends below the eye in a smudgy line; dark grey-brown upperparts extending to form a partial collar; short grey-brown tail; white underparts that extend from the chin to the undertail and long, pale and slender bill with distinct hooked tip. 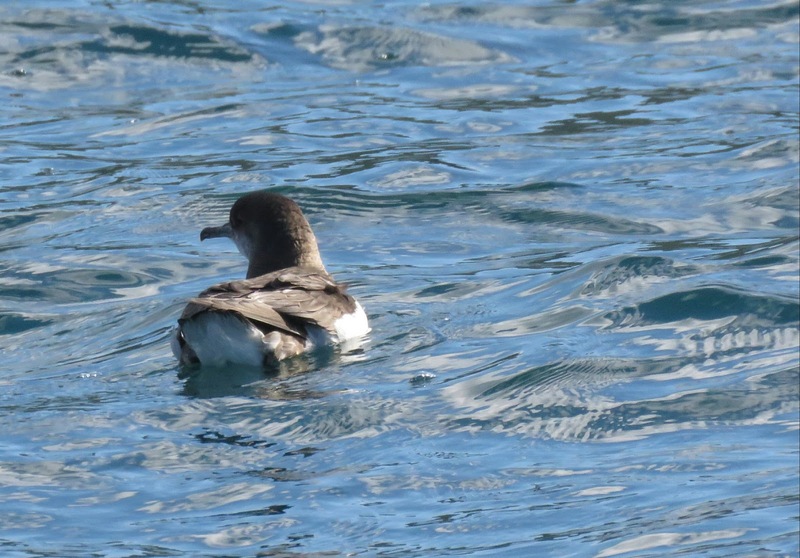 The Fluttering Shearwater is endemic to New Zealand and migrates to Australia and the Solomon Islands. 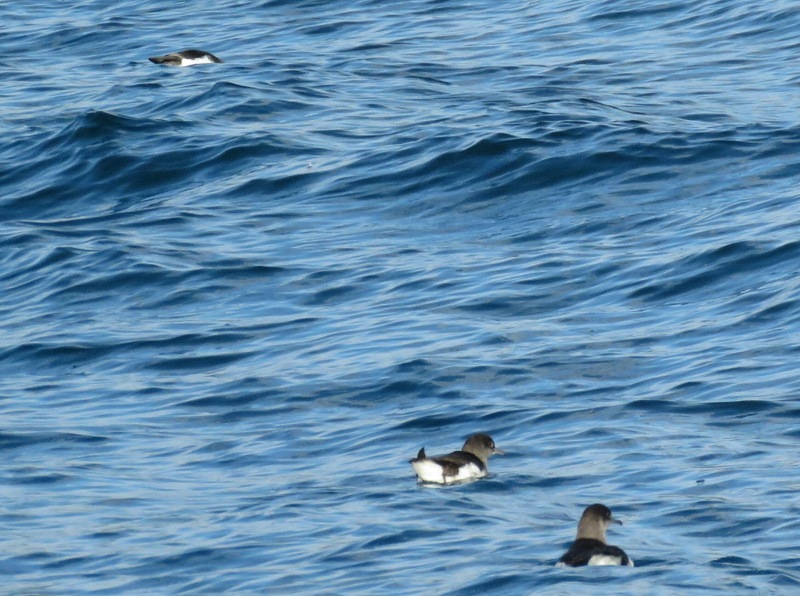 The Fluttering Shearwater is a new species to our Photographic Life List, which now stands at 745.